Latin is the key that opens the door to many other languages. 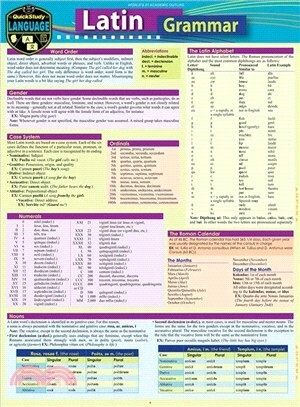 This 6 page laminated reference guide is designed for quick access, easy review and focus. With the most important aspects of the language pin-pointed by our author and professor. Reviewing this guide often - will boost grades. An inexpensive tool that can go anywhere and help to retrain the brain to tackle many other languages is a must have.